Looking for tips, tricks and how-to guides for your big move? 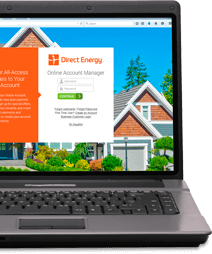 Direct Energy's got you covered! Here are some of our best tips on how you can have a stress-free move. House Hunting Like a Pro | Should I Rent or Buy a House? | When is the Best Time to Buy a Home? | How to Choose a Realtor | What to Look for When Inspecting a Home | What Are the Hidden Costs of Home Ownership? Ready to switch your energy service? Select the area where you will be turning on service.